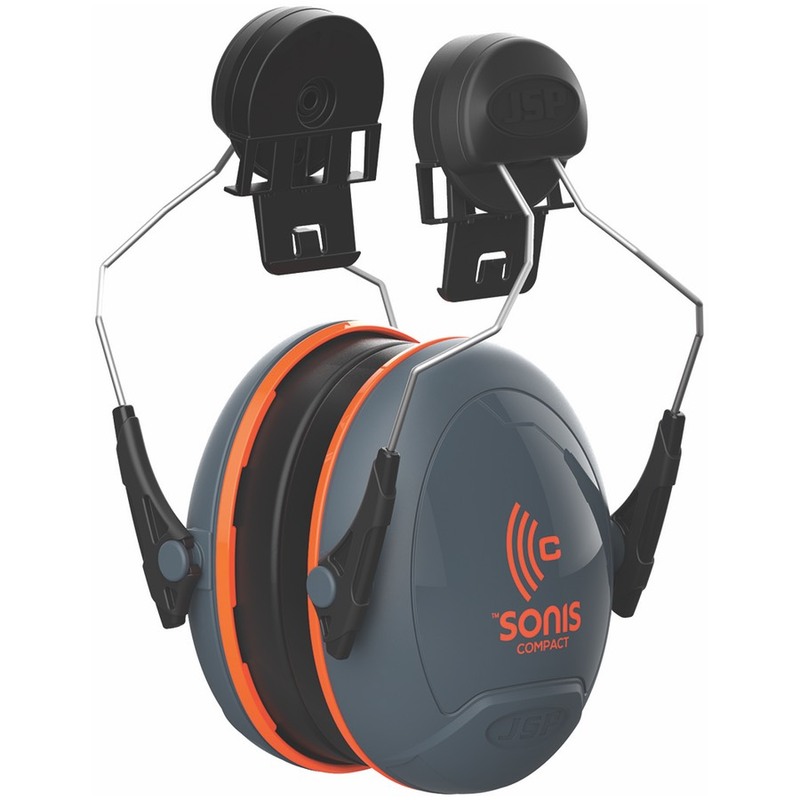 The Sonis® range of ear defenders have been designed by the JSP R&D team. Working with a leading UK acoustic engineering research facility they have developed an ear defender range that peaks at an unbeaten 37 SNR. The over-moulded headband has a built in comfort area with ventilation. The headband force and the cushion area work together to provide optimum cushion pressure and comfort. Sonis® cups can be coloured to meet a corporate identity. They can also be printed with a company logo for improved brand recognition and to discourage theft. MOQ's apply. To facilitate even distribution of pressure the wear can tilt and adjust the position of the earcup for optimum comfort and fit. The headband is manufactured from TPE, making it easy to wipe clean. The sealing rings are easy to replace. Hygiene kits are available for each model. The Universal slots of JSP helmets allow for the easy fitting of the Sonis® ear defenders, along with the JSP Surefit™ visor system for maximum protection.